The market seems awash with so-called 'synthetic mortars' nowadays, but it's only a few years ago that there was an extremely limited choice between a relatively ineffectual polymeric and the original two-part resin mortars, the Rompox range from Romex. And that's what gave Romex the edge: the fact that they offered a range of products, from simple-but effective brush-in polymerics, through multi-purpose semi-permeable and permeable work-horse mortars for driveways and light-use pavement, right up to super-tough commercial grade mortars capable of taking heavy city centre traffic in almost any setting. Romex, the company behind the Rompox mortars, are international specialists in the chemistry of epoxy and synthetic resins, producing high quality mortars, fixatives and flooring for all sorts of industries across Europe from their base in the Rhineland of Germany. For over 20 years, they've been producing 'Pflasterfugenmörtel' - pavement jointing mortars, high quality aggregate-based resin-bound mortars which bring a whole range of benefits to the paving trade. 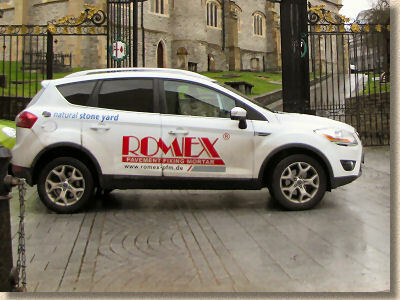 Romex manufacture a wide range of pavement jointing mortars but the key difference lies between the simple 'polymeric' air-cured mortars for patios and garden paths, and the two-part resin + activator synthetic mortars which can cope with anything from a small family car right up to commercial vehicles and HGVs. 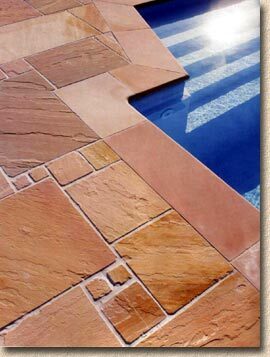 A brush-in-brush-off pre-mixed flexible mortar for patios and pathways with very little or no vehicular traffic. 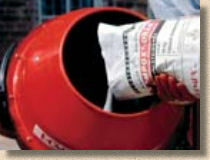 The mortar is pre-coated with the binder and comes supplied in an air-tight bucket. It's simply a matter of removing the lid, wetting the surface, tipping out the Romex Easy, then sweeping it into the joints. Any excess is swept away or returned to the bucket and stored under water for later use. The water keeps the mortar out of contact with the air so it will not cure. 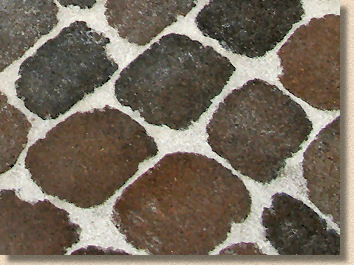 A two-part resin with selected aggregate which is mixed as required on site. Each 'pack' comprises a robust bag of selected fine aggregate with two bottles of liquid â€“ the binder resin and its activator. 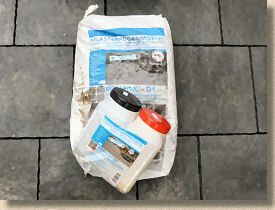 Mix it all together using a paddle or a standard 'cement mixer', add sufficient water to create the slump required, and then brush it in to the open joints of a pre-wetted pavement surface. 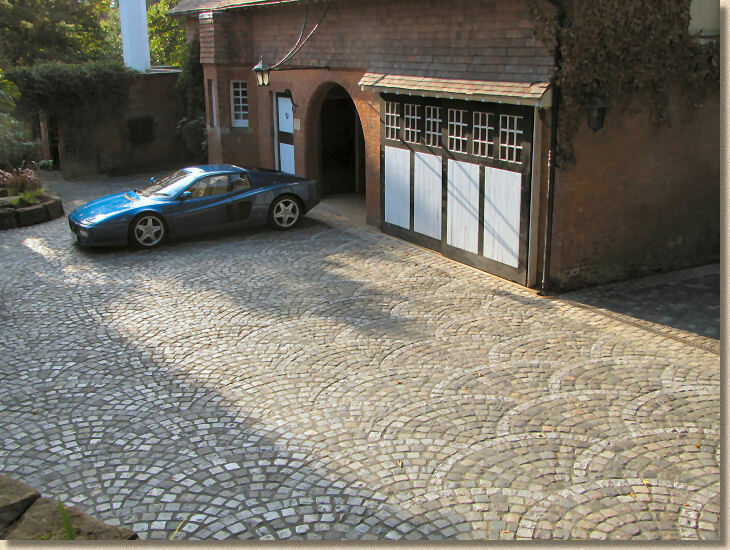 Top of the range, designed for use with the most demanding of trafficked pavements, combining incredible performance levels with the simplest of installation techniques. All Rompox mortars rely on the same simple principle: take a high-quality, consistent fine aggregate (sand) as the 'filler' and then use a specially designed resin binder to effectively 'glue' it all together. 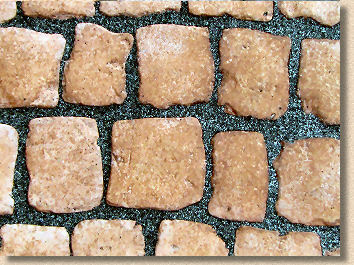 There are no artificial colours or dyes used with Rompox mortars. The colour comes entirely from the fine aggregate and by carefully selecting stable, reliable and consistent aggregates, the colour can be maintained. The colour today is the same as the colour will be next year and next decade. The resins used to create the binder vary according to the application, but all are specifically developed for use as pavement jointing mortars, with precisely engineered levels of strength, adhesion and permeability. Strict quality control ensures consistent compliance with stated standards. 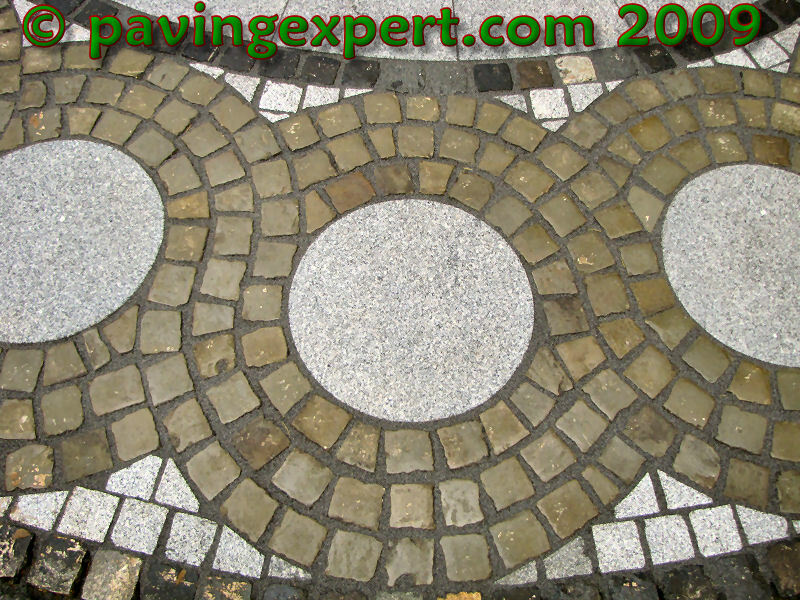 All the end-user need do is combine the quality materials and sweep the resulting mortar into all those empty joints. Rompox mortars come in three standard colours â€“ Neutral, Stone Grey and Basalt. 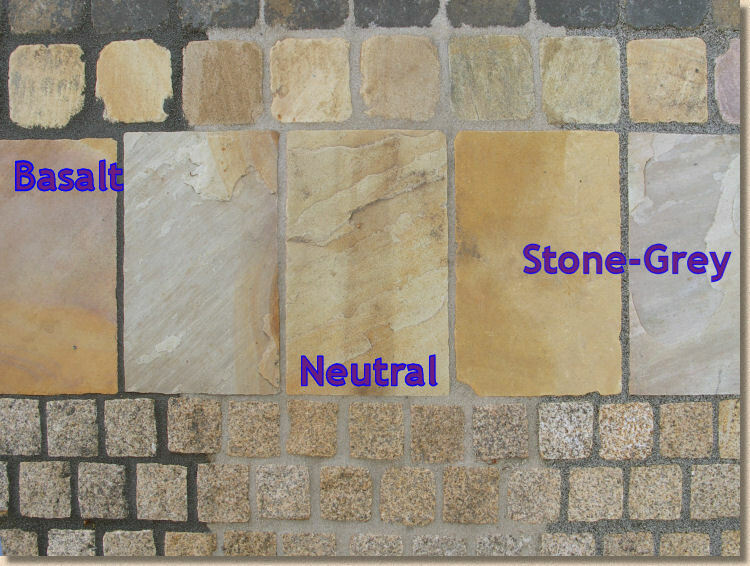 Neutral is the most popular choice as it works exceptionally well with many sandstones, limestones and lighter granites, but designers also like to use it with darker stones and concretes to give contrast and definition. Stone Grey is a good choice for darker stones as its natural colouring is subdued and discreet, allowing the stone to show itself off to best effect. 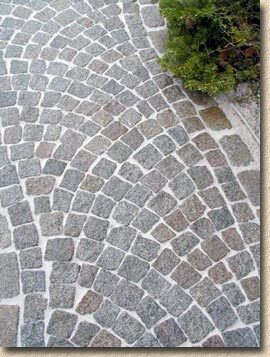 Basalt is the dark choice, and is a popular option for setts where it emulates the dark hues of traditional pitch jointing. 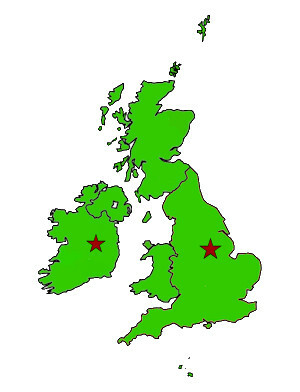 The Romex distribution network is based on specially approved and appointed suppliers holding stock at key locations throughout Britain and Ireland, with a central ordering office in each country. Rompox mortars are general available ex-stock from approved distributors or via 24hr mail order/pallet delivery from the central offices. Ancillary Romex products, such as the very popular Colour Enhancing Sealant, are usually available from the central offices but may need to be ordered, which could take 2-3 days for delivery. When required, Rompox mortars are fully supported by on-the-road technical reps that endeavour to respond to any enquiry within 24 hours by 'phone or email. Should it prove necessary, on-site assessments can be arranged at short notice, usually 24-72 hours. And naturally, the chemists, engineers and technical staff at Romex HQ in Germany are always available to provide expertise accumulated over more than two decades of mortar manufacturing. Watch Rompox D1 being used to joint the new paving to footpaths in the Clarendon Road area of L/Derry in Northern Ireland. 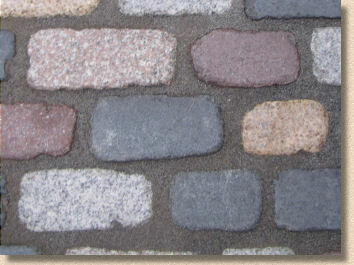 The local council had struggled to identify a simple but effective jointing material which could cope with the occasional damp day they experience in that part of the world, and would be capable of filling narrow 5-6mm joints and staying there, whatever the weather or the local highway cleaning team could throw at it. Following extensive research and trials, they found that the Rompox D1 in Stone Grey colour provided everything they wanted, and more! 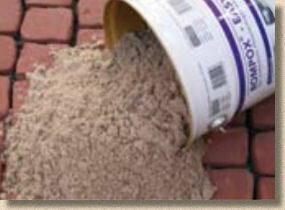 There's a wealth of information available for all of the Romex products, including the Rompox pavement mortars. Links to some of the more popular documents are provided below but a comprehensive listing is available on the Romex website.